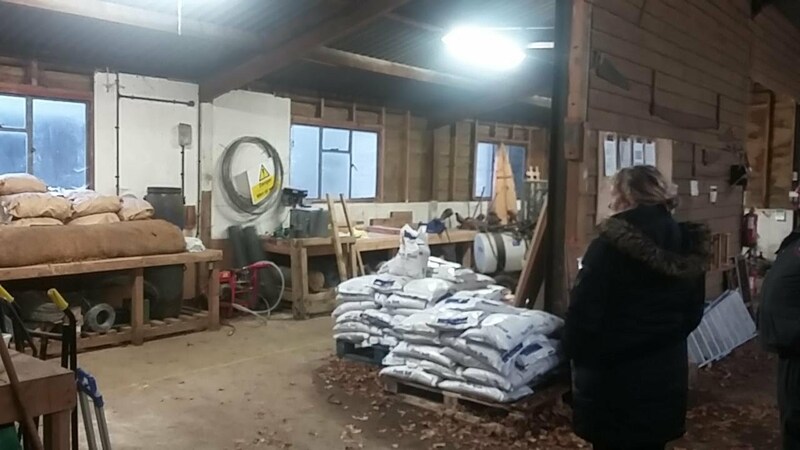 With increasing membership, it has been decided that from Monday 4th February, the Shed will be open on Mondays, Thursdays and Fridays each week. A significant moment in the history of our Shed occurred when the three committee members signed the lease for the Shed last week. Although we have been given access up to now thrugh a Tenancy at Will, which has allowed us to carry on with the construction work and the electrical installatio, we now have the security and benefits of a full lease. On 21 June members and guests were given a tour of Pinewood Film Studios. Everyone found it extremely interesting and it made a pleasant change form the sawing, hammering and painting. 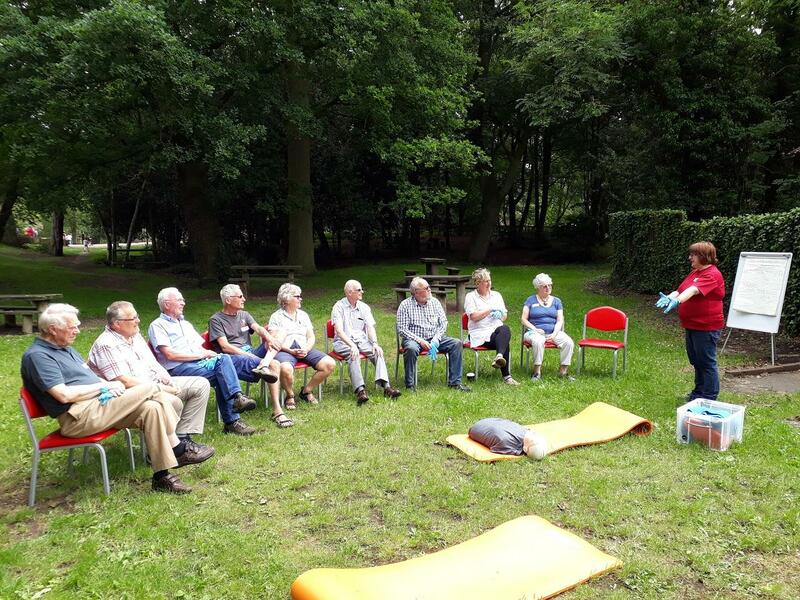 Our thanks to Kathryn Donovan of of Pinewood Group Community Liaison for arranging it and showing us round. 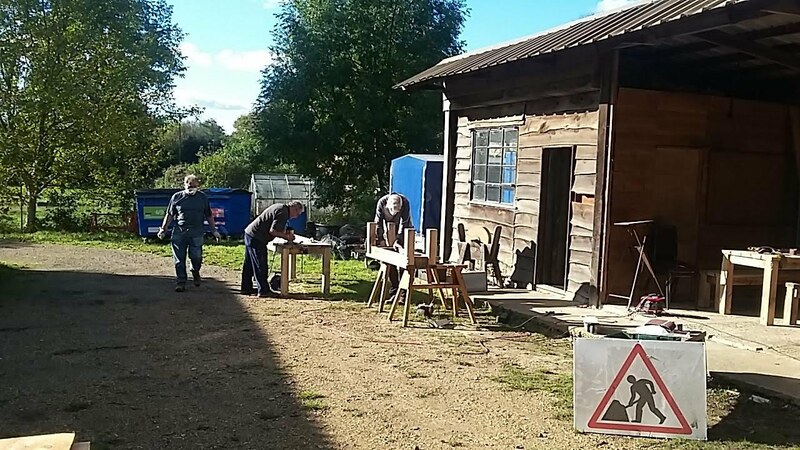 We are delighted to have been given a grant of £4830 from Heart of Bucks to enable us to equip our Shed with benches, tools etc. 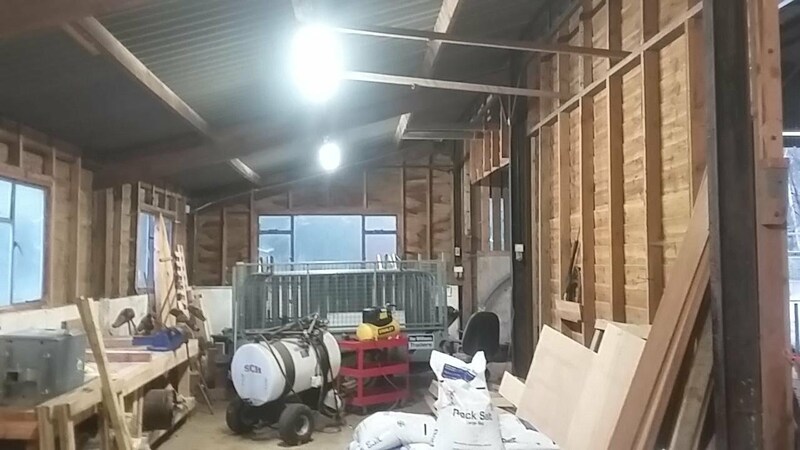 When we have completed the refurbisment and modifications to our premises this grant will eable us to equip it with the tools and other items to make a fully functioning workshop. A view of the new doorway. The palm trees are not a part of the final landscaping - they are awaiting deivery to Langley Park. The installation involved removing a section of the old cladding, including a metal window frame, installing the door frame and rebuilding the stud work around it, before hanging the door and putting on the cladding. 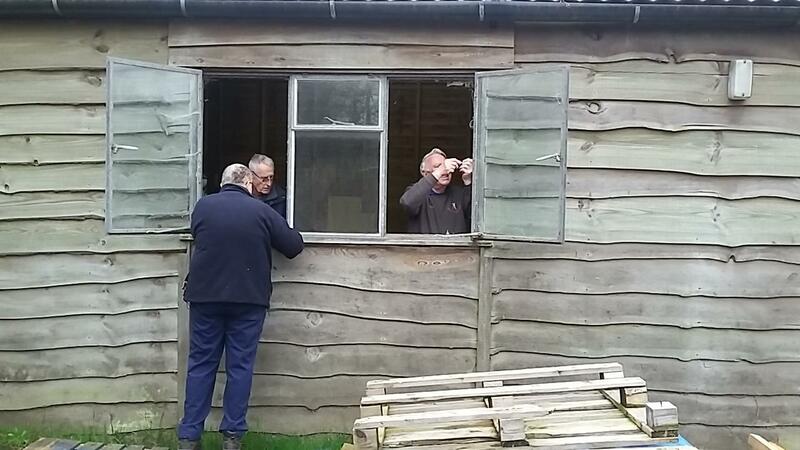 On Friday 13th April we gained access to start work on our new Shed. It was a long, hard day and it was a magnificent effort by the whole team. We had to keep going until we had re-secured the building and narrowly avoided being locked in for the night! We successfully cut the hole in the wall to take our new double doors, fitted the door frame and repiared the studwork. Before and after pictures are shown but there are lots more in the gallery. 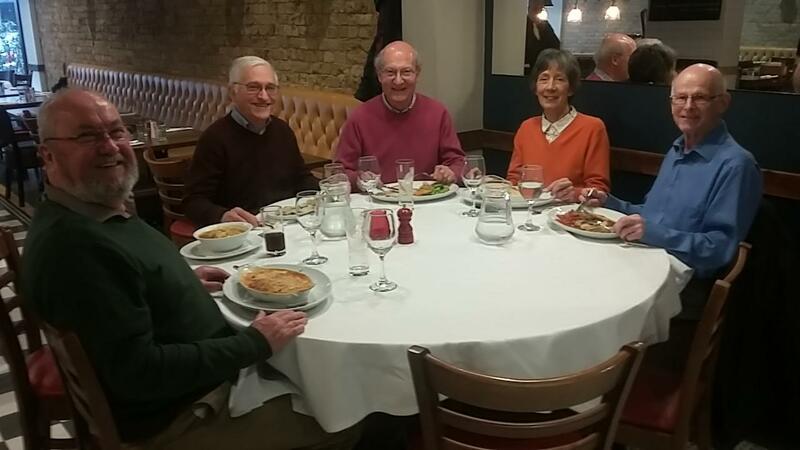 Sally arranged a successful "get-together " lunch at the Luna Rossa on 9 April. 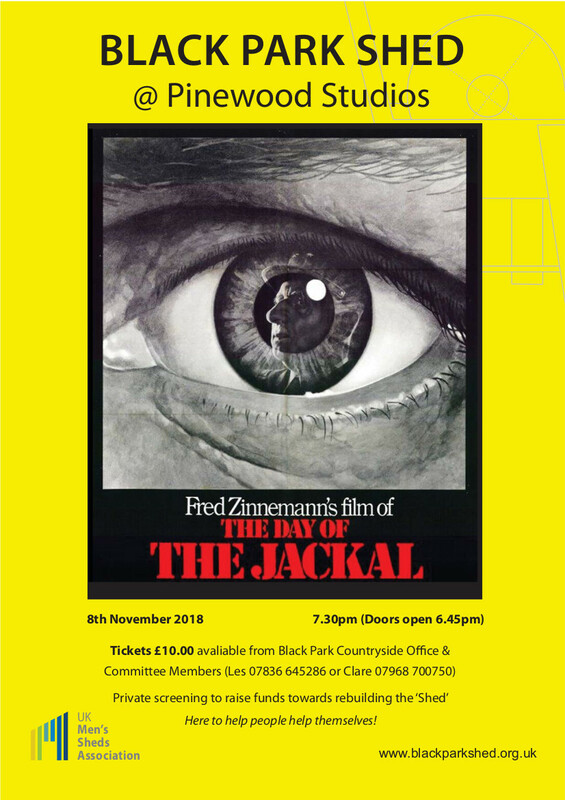 We were extremely grateful to Pinewood Film Studios (which are next-door to Black Park) for giving us the use of their cinema. 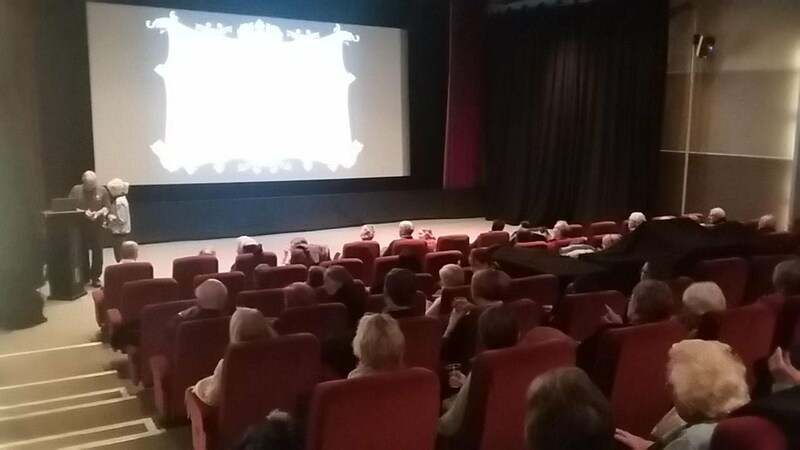 A showing of White Christmas resulted in selling 90 tickets and gave a very useful boost to our funds. 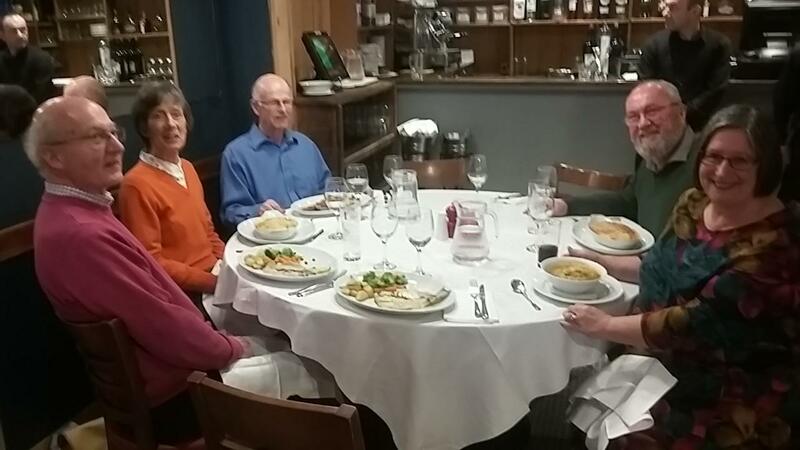 After the initial foundation meeting, the group of 10 members began to meet weekly. 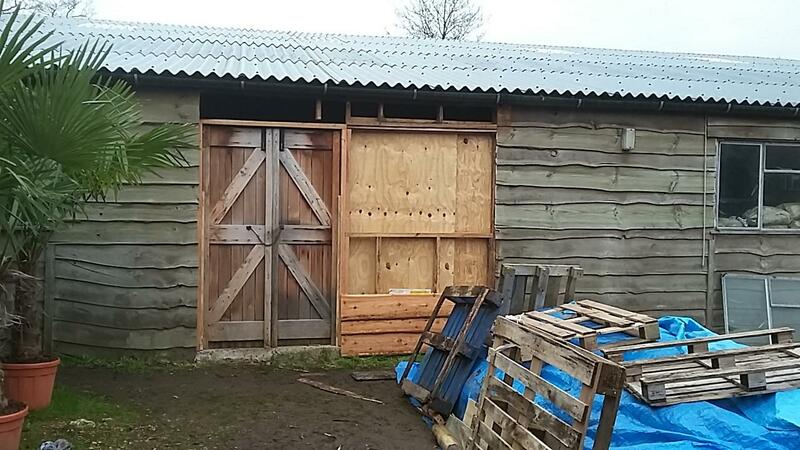 Initially it was not possible to carry out any structural work on the Shed until a lease had been signed and insurance was in place. 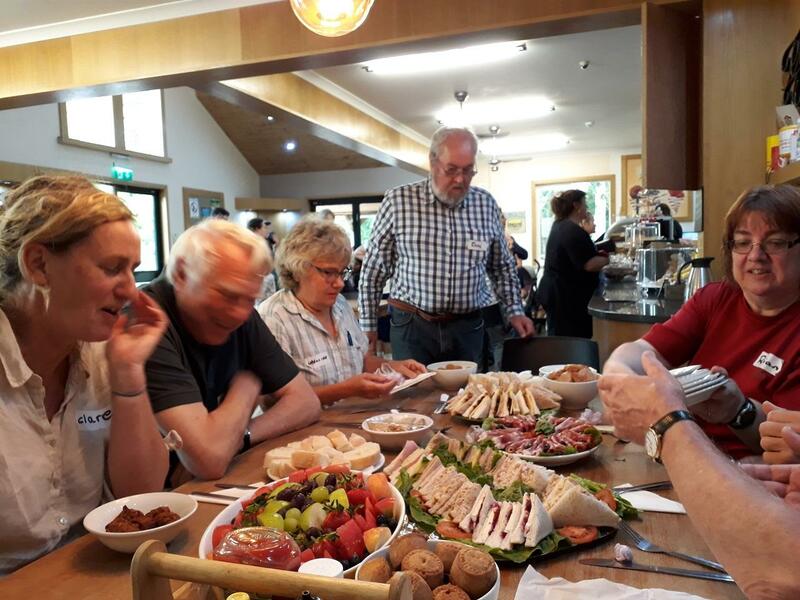 However, an agreement had been reached with the Park San Remo cafe to refurbish their outside tables and benches and we therefore started work on that in order to begin raising funds.